This review will look into the product InSight HT by Nova Nutrients. The information outlined in this review will determine if the product can deliver on the manufacturer’s claims and if you should consider it for purchase. 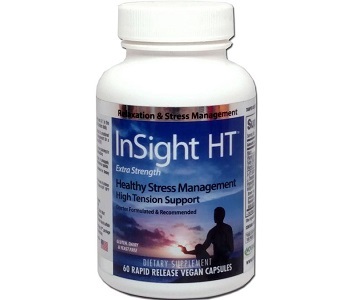 Nova Nutrients states that InSight HT includes beneficial ingredients designed to relax, calm, and soothe the mind. They argue that this product provides efficient results. The aforementioned ingredients are known for their calming and soothing properties. Niacin, Vitamin B6, Folate, and Vitamin B12 work to fight vitamin deficiencies that would, otherwise, lead to restlessness and stress. 5-HTP is also known to be beneficial for combatting anxiety. This ingredient works to protect the mind against panic attacks as well as fight depression. L-Theanine may support the effectiveness of this formula by providing additional calming properties as well as boosting concentration. Vinpocetine is also argued to have antidepressant properties. This formula, although beneficial, lacks a key ingredient found in competitor products; Melatonin. Melatonin plays a pivotal role in improving sleep efficiency and, thus, directly impacts factors that may contribute to anxiety. Furthermore, alternative products contain both day and night formulas for additional benefit. The manufacturing quality is supported by a cGMP certification, but, this alone is not a testament to product efficacy. The manufacturer suggests that users take one (1) capsule daily. This dosage supplies a mere 25mg of 5-HTP. A typical dose falls between 100 – 300mg, 1 to three (3) times per day. Therefore, this dosage is exceptionally low. An additional dosage would be required for optimal benefit. The manufacturer does not warn consumers that the product may induce negative side effects. This is very concerning as some of the ingredients may prove problematic if taken alongside other medication. We strongly advise that you discontinue use if you experience any discomforting side effects. The manufacturer stocks this product on their online store. It can be purchased for a discounted price of $35.95. This is reduced from $38.95. This is an insignificant saving and the price is still extremely expensive. A 10% subscribe and save deal is offered, however, we advise against this as these subscriptions are often difficult to cancel. You may be continually billed a product that you no longer want. Products can be returned within 30 days of purchase, however, they need to be unopened and unused. On top of this, customers will have to pay for shipping fees and a 15% restocking fee. This is very alarming as it indicates a lack of confidence in the product and does not effectively cover customers against faulty deliveries. Another major concern is that there are insufficient customer reviews to vouch for product efficacy. We, therefore, cannot accurately state whether this product will deliver on manufacturer claims. 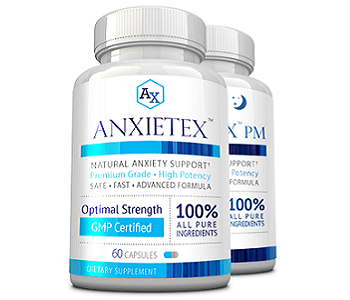 The product formula contains ingredients that are common to effective anxiety relieving supplements. That said, the dosage is substantially lower than these alternatives. Faulty products may be returned within 30 days of purchase, but, they have to be unopened and customers are subject to a 15% restocking fee. Also, this product is very costly and there are limited customer reviews to back its effectiveness. We highly recommend finding a more affordable and quality assured anxiety support.